Save time and money while getting a quality education at a career or community college. Whether your goal is a certificate, associate’s degree or bachelor’s degree, a community college or career training school can be an affordable first step toward your career. Depending on your career goals, college budget and personal responsibilities, a career or community college may suit your needs better than a 4-year college would. Not sure how these two types of schools differ? A community college (sometimes referred to as a junior college, technical college or city college) typically offers 2-year college degree programs in various majors. In addition to these 2-year degrees, called associate’s degrees, some community colleges also provide vocational training and certificates. Community and career training schools offer students plenty of flexibility, both in terms of the major you can choose and whether you attend school full-time or part-time. A career training school, on the other hand, usually only offers certificate programs or job training. Sometimes called vocational schools or trade schools, these programs provide specialized training for specific careers or occupations. Students choose community colleges and career schools for a variety of reasons, both personal and professional. Whether you’re interested in learning specialized job skills, transferring to 4-year colleges after earning an associate’s degree or exploring majors and career options while deciding what you’d like to do, a community college or career training school can be just what you’re looking for. There are many advantages to earning an associates degree or completing a job training program. If you're looking to find college experiences on the cheap, then you can't do much better than one of these schools. Tuition for community colleges is often much cheaper than what you would pay at a 4-year college. And you can receive financial aid to help you pay for school. For additional savings of both time and money, many community colleges offer online degree programs. Whether your goal is a certificate, associate’s degree or bachelor’s degree, a community college or career training school can be an affordable first step toward your career. Transferring from 2-year schools to 4-year universities is not only very possible, but economical as well. Community and career training schools offer students plenty of flexibility, both in terms of the major you can choose and whether you attend school full-time or part-time. Whereas 4-year universities may require students to study for their degrees on a full-time basis, many community colleges welcome part-time students. For additional flexibility, community and career school students can often find college classes online or at different campuses. Plus, you’ll find that these schools are often close to home, making them exceptionally convenient if you’d like to live at home or save on commuting costs. Not thrilled with your high school grades? 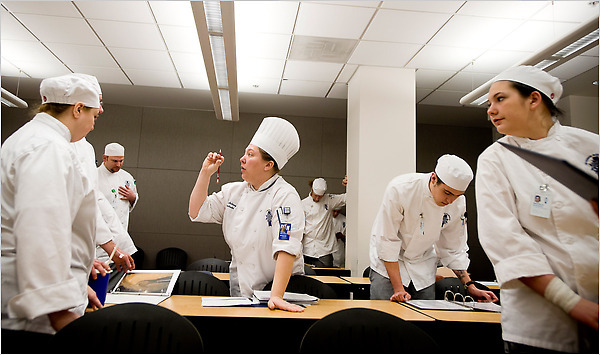 Admission requirements are typically lower at community colleges and career training schools, and many don’t require standardized test scores for acceptance. You can complete your associate’s degree and start working or use your degree to transfer to a 4-year college and earn a bachelor’s degree. Many community college students go on to complete a major at a 4-year school and earn a bachelor’s degree or an even higher degree. But be sure to get those grades up. If you maintain a GPA of 3.0 or higher while getting your associate’s degree, you have a better chance of transferring to the four-year college of your choice. Additionally, some students who are unsure about career goals may use a community college or career training school as a place to gain more information about potential career paths. The broad range of core classes offered at these schools allow students to get a taste of different subjects and discover which areas of study they are most interested in. Maintain a high GPA while getting your associate’s degree and you can join Phi Theta Kappa, the honor society for two-year colleges. The organization hosts several gatherings a year, including an annual international conference. Not sure about your long-range plans? Campus Explorer college search helps you find the 2-year colleges specializing in career training and 2-year community colleges geared toward transferring to a 4-year university. Know the career skills you want to learn? Find the career training options nearest you with Campus Explorer’s college search for certificate programs. Previous: Is an Ivy League College for You?